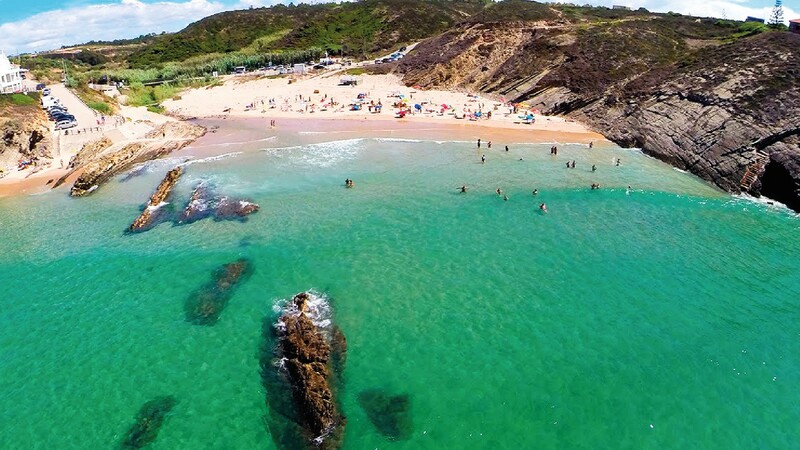 Best Portuguese Beaches To Enjoy This Summer ♦ Portugal has a seashore any country would covet, fulfilled with the most amazing beaches, that are a lot more than just the place where the sea meets the land. Let yourself dive into this breathtaking beaches and be guided by Secrets from Portugal! 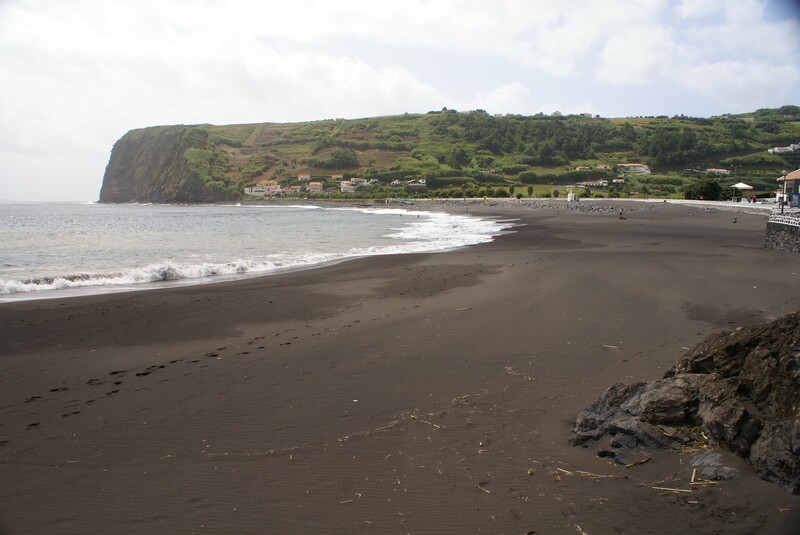 Ribeira Quente Beach, or Fire Beach, as it’s also known, owes its name to the hydrothermal springs that make the water warm, contributing to the fact that this is one of the most attended beaches in Azores. Ribeira Quente Beach is surrounded by an idyllic landscape, where it stands out the blue of the ocean that bathe it and the green of the pines. The access facility and its extensive beach turn the Comporta Beach one of the most sought-after beaches in Portugal. 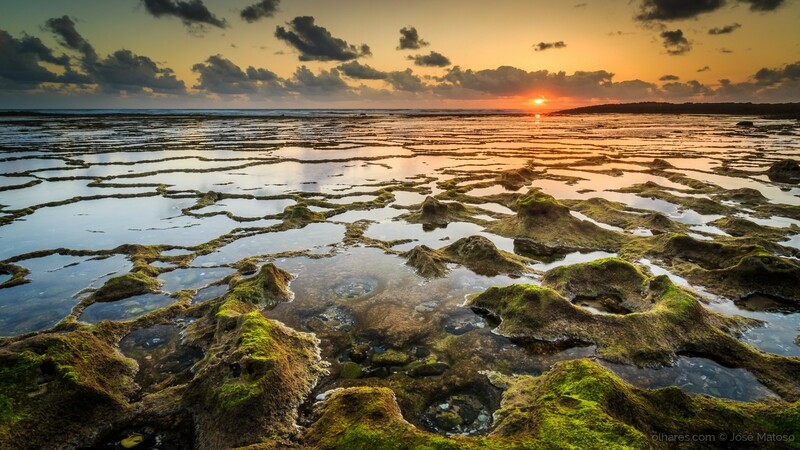 This is a unique beach that preserves all its beauty by being insert in the limits of the Natural Reservation of Sado Estuary. 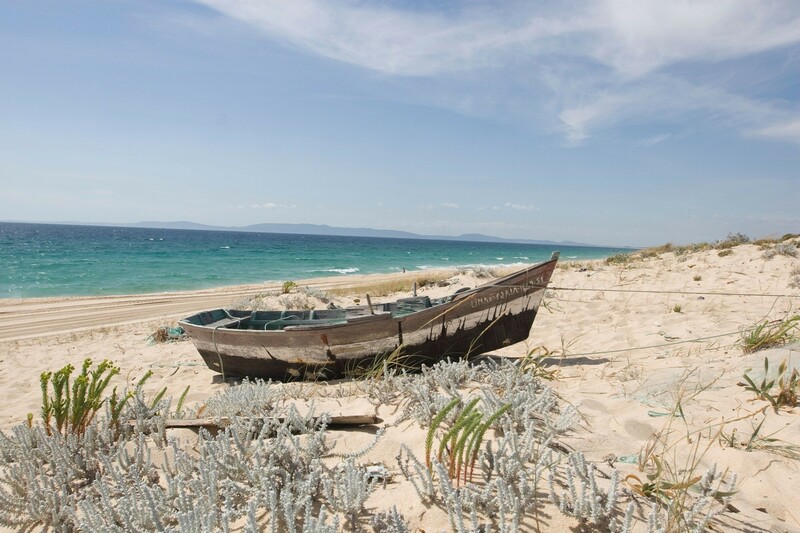 By being a bit wavy, Comporta Beach invites you to the practice of water sports, such as surf, bodyboard, kitesurf and sporty fishing. 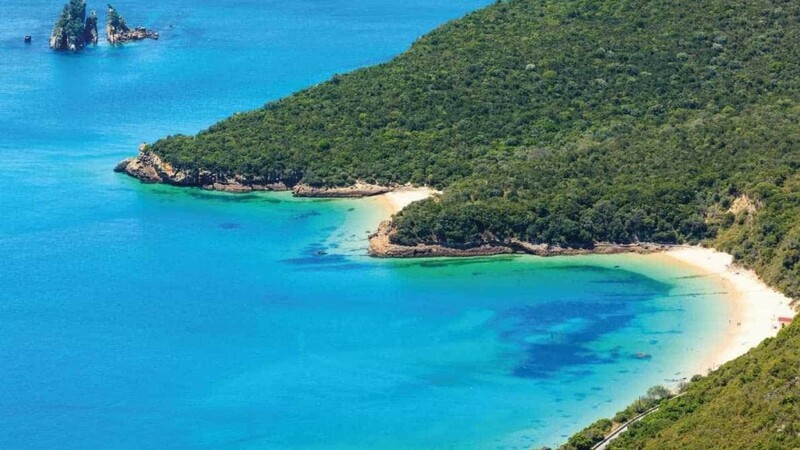 Serene sea, calm and clean waters, a green landscape and secret shelters between the rocks: this is the scene that you will find when you step into the white sands of Galápos Beach, in the Natural Park of Arrábida, in Setúbal, one of the most beautiful and unique beaches in Europe. Close to the one that was considered the best European beach, Galápos Beach doesn’t stay behind! This is a natural paradise with conditioned access. 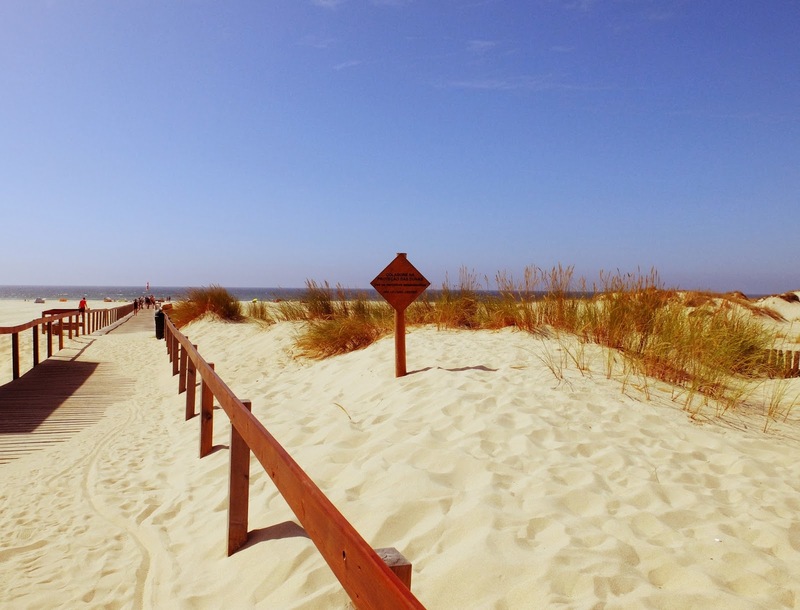 It’s not easy to reach São Jacinto Beach, in Aveiro. But it’s precisely the fact that it’s so secret that makes this beach even more appetizing and one of the best beaches in Portugal. The way to get to discover a natural wonder inserted in a protected landscape from the Nature Reserve of the Dunes of São Jacinto, with the rough sea at one side, and the calm waters from the Ria at the other side, turns this little paradise even better. 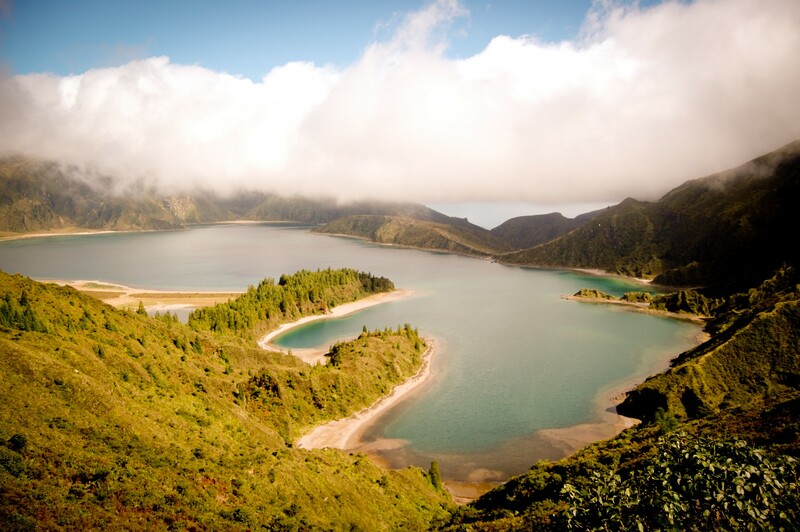 In Azores we find the Lagoa do Fogo beach, a stunning river beach on the island of São Miguel, which gives you the opportunity to dive in the waters of the iconic Lagoa do Fogo, while taking advantage of the magnificent green landscape surrounding. 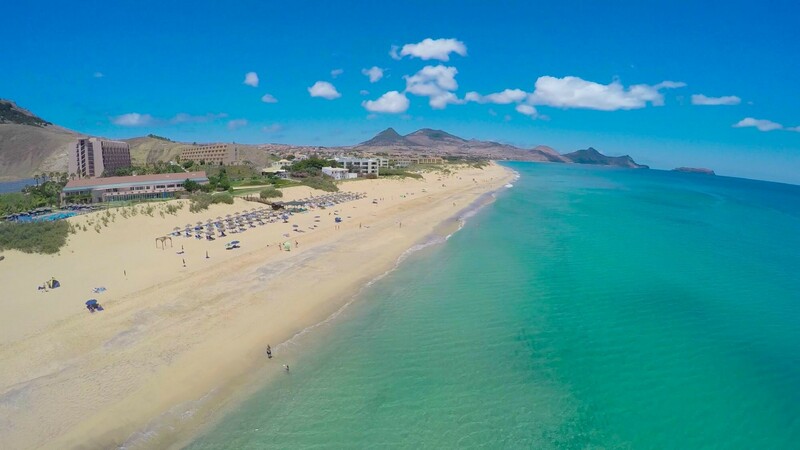 Outside the Mainland Portugal, we must highlight the amazing Porto Santo Maritime Beach, in Madeira Island, where the beach experience is valued by the beautiful rocky landscapes and also by the volcanic sand of the island. 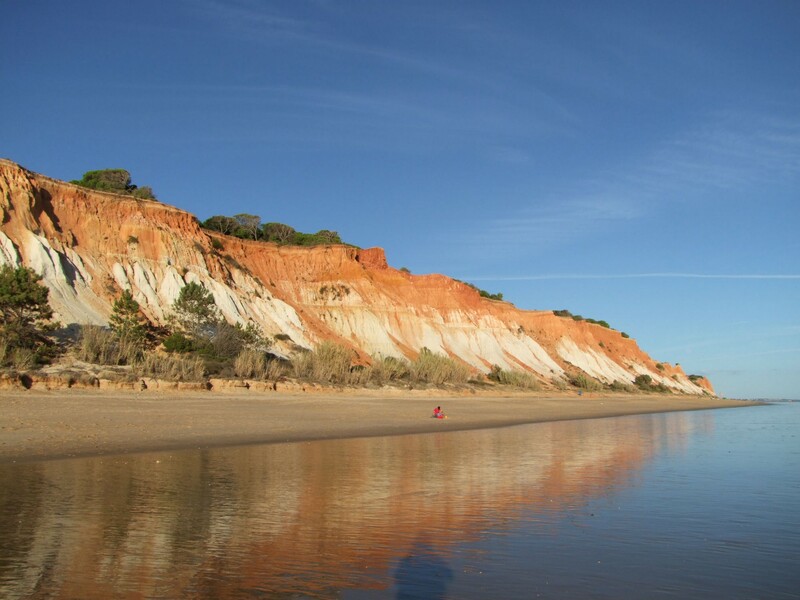 The Falésia beach, that goes from Albufeira to Olhos de Água, in Algarve, is prized by everyone who attends it by its beauty and diversity. The orange rocks contrasting with green pines and dark blue skies make this one of the most memorable beaches in Portugal. This natural paradise reaches its peak of beauty when the sun comes down and the sunset colours paint the sea and the sand with golden tones. Guincho beach, in Cascais, might be one of the best-known seashores in Portugal, but not everybody knows all its potential. Since the beginning of the 20th Century, this beach has been seducing and attracting everyone, Portuguese and Foreigners. More recently it has gained worldwide fame as one of the Best Beaches for the practice of maritime sports such as surfing, windsurfing and kitesurf, becoming the main stage to national and international competitions. 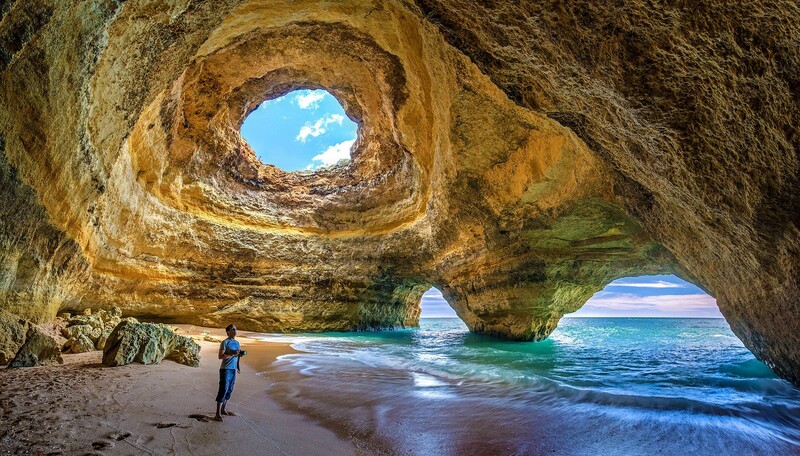 The Benagil Maritime Cave, in Algarve, is another Natural Wonder of Portugal that can be used as a Beach and that has been distinguished, even internationally, for publications like Business Insider that has nominated this beach as one to visit “at least once in a lifetime”. Although Benagil Beach is accessible by Land, the Cave only has access by Sea. 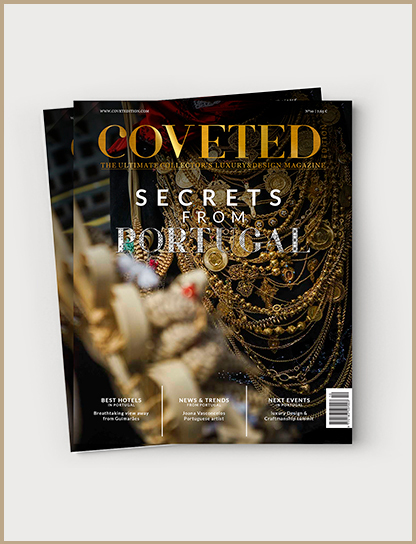 To discover another secret from the Portuguese seashore, we don’t need to leave Alentejo. There we can find the quiet and peaceful Vila Nova de Milfontes Beach, in Odemira, Beja. On this heavenly paradise, you can get the most out of the beautiful Costa Vicentina experience at this Alentejo Beach! And we don’t have to leave the Alentejo region, to find the Zambujeira do Mar Beach. Also considered one of the Best Beaches in Portugal and a Natural Wonder on Its Own Right, this beach presents a huge diversity of fauna and flora, and is also a beautiful place of relaxation, that can be visited any time of the year. 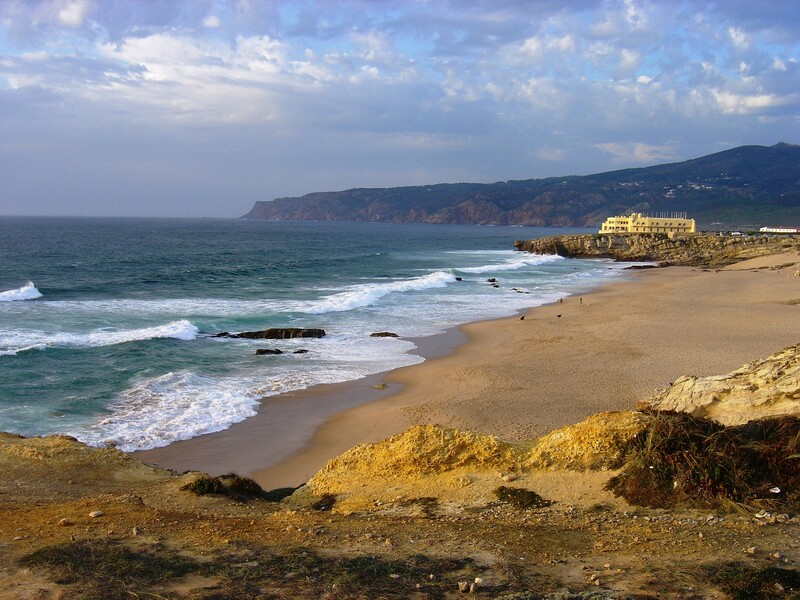 Bathed by the Atlantic Ocean, the beaches of Portugal are among the best, cleanest and most popular beaches in Europe. But strange as it may seem, one of the most popular and consecrated beaches of Portugal is not only bathed by the Atlantic, but also by the river Seixe. 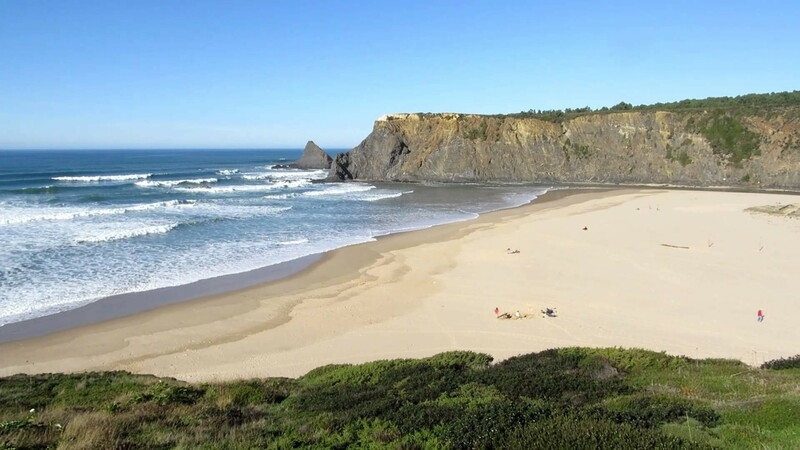 We are talking about the Odeceixe Beach, in Alentejo. This seafront and river beach is one of the calmest and most beautiful in Portugal because it takes advantage of the rural and natural beauty of the Alentejo surrounding!